The state of cable business services, fiber versus coax, the addition of mobile services along with the advent of 5G (friend or foe), new service offerings, service level agreements, the move to virtualization, and more, were all hot topics at the recent Light Reading "Future of Cable Business Services" conference. I have attended this conference for several years, and as it falls at the end of year it’s always a good time to reflect on what this means for the cable industry moving forward. Here are my top takeaways from the 2018 event, and what I’m thinking about heading into 2019. Dealing with packet networking complexity? It’s time to evolutionize. Still a ‘growth engine’ - but not revving quite as loud . . .
For years business services represented 20%+ year-over-year revenue growth for cable MSOs – a significant growth engine given MSOs have experienced declining video subscribers (due to OTT competition), and have generally had consolidated revenue growth of 5-10% in recent years. MSOs have experienced higher growth rates in business services with small (<20 employees) and medium sized business (20-99 employees). They have seen relatively slower growth with larger business customers (>100 employees), where these customers require more sophisticated services and competitive service level agreements (SLAs) – more on those shortly. While still a growth engine, the growth rates for cable business services have declined in recent years. Statistics shared at the conference show that the industry is expecting closer to an 8% year-over-year revenue growth (average across top U.S. MSOs) for cable business services in 2018. A disclaimer, as revenues for cable business services has increased it becomes harder to maintain early growth rates (i.e. larger denominator). Larger business customers = SLA . . .
As MSOs move up-market selling to larger businesses, in addition to needing to provide more sophisticated services, there is an increased expectation of offering an SLA. SLAs are formal service commitments – quality, availability, responsibilities – and associated metrics. Not providing competitive SLAs will limit growth up-market. Failure to achieve SLAs can result in financial penalties and dissatisfied customers. SLAs are ‘part of the territory’ as MSOs sell to larger businesses. There was a lot of discussion at the conference on the challenges of MSOs supporting SLAs. Will DOCSIS 3.1 or Full Duplex DOCSIS help MSOs support SLAs? Can MSOs support SLAs over their Hybrid Fiber Coax (HFC) networks – does extending fiber deeper help? How are SLAs managed when partnering with other network providers for national coverage? There was a general sentiment among some of the speakers that SLAs can be more readily supported when there is the option to use fiber to the building versus using HFC - managing SLAs over HFC using DOCSIS can be more challenging. Managing an SLA when there are other network providers (out of territory coverage) is another complicating factor for MSOs – these inter-relationships and dependencies need to be detailed in the contract with the customer. Having an SLA that involves multiple network providers is not unique to MSOs, telecom providers can also have this complexity, but it is a more prevalent issue for MSOs when serving national customers. One approach is to use standard MEF Service Definitions to request E-Transit and E-Access Services from other providers with Service Level Specifications to meet SLA commitments – more on the MEF below. For cable MSOs to support the service level objectives in SLAs they need telemetry information from their network elements combined with analytics to know when they are having a service (SLA) impacting incident, and the management software and automation to quickly resolve it (or better yet – prevent it) they need an Adaptive Network. One way we are helping customers with this challenge is through our recent acquisiton of Packet Design, which now part of the Ciena Blue Planet software platform and uniquely combines routing, traffic, and performance analytics for real-time, path-aware operational monitoring, and back-in-time forensics to troubleshoot problems that can cause service disruptions and impact SLAs. Ciena also recently acquired DonRiver, a company that specializes in providing a single view (a federated view) of network and service inventories, so MSOs can quickly identify which customers and what services are affected when there is a network incident, enabling quick resolution before SLAs are jeopardized. Cable MSOs & Carrier Ethernet . . .
MEF Forum (MEF) Carrier Ethernet (CE) Services have enabled the growth of business services for cable operators. 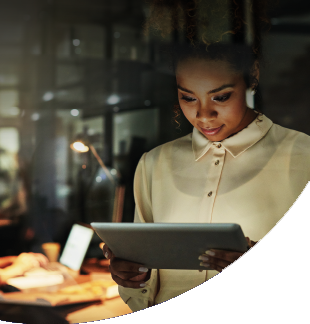 CE enables companies to connect their Local Area Networks (LANs) in different locations over a carrier’s network via an Ethernet User Network Interface (UNI) – extending their LAN across the Wide Area Network (WAN). CE is commonly employed in industries such as banking, healthcare, education, government and military for high-capacity, high-performance application support. 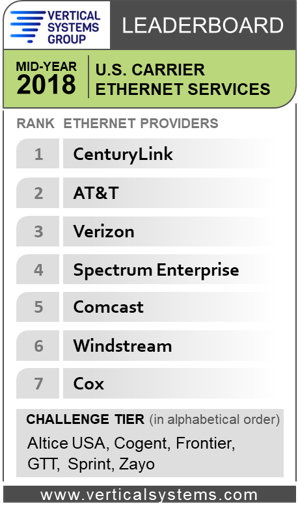 At the conference, Vertical Systems Group shared their U.S. Carrier Ethernet Leaderboard – three of the top seven providers of CE services in the U.S. are cable MSOs with an additional MSO in the ‘challenge tier’. This is an impressive feat given the relatively short period of time that cable MSOs have been selling business services relative to the telecom incumbents. 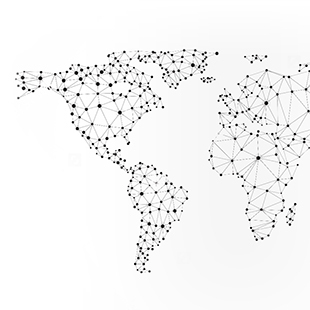 Most MSOs in North America are members of the MEF which is a non-profit industry consortium enabling dynamic MEF 3.0 Services across a global ecosystem of automated networks – MEF has over 200 members globally. Comcast Business and Spectrum Enterprise were among the winners of MEF 2018 Awards. 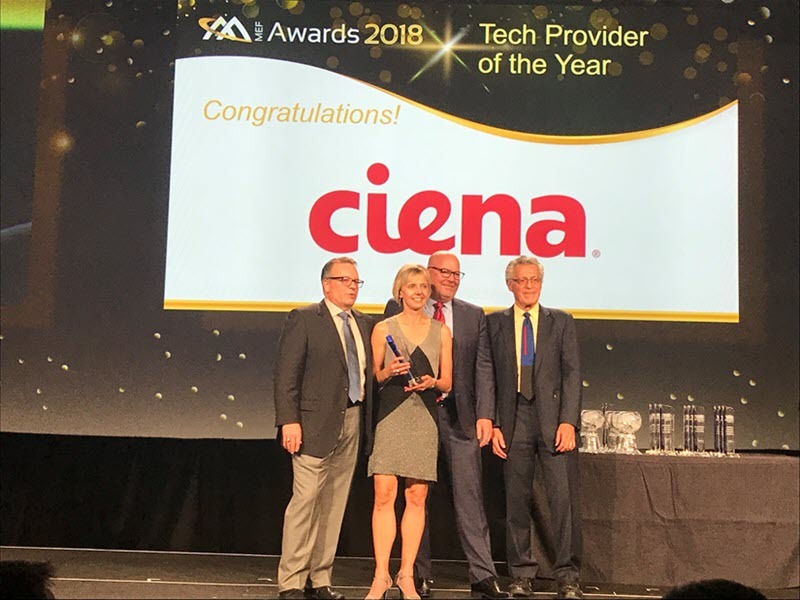 Ciena is an active member of the MEF and has been recognized as the MEF Technology Provider of the Year for 2018 along with three additional MEF 2018 Awards. 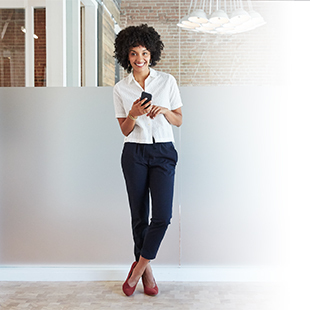 Ciena has also received gold medals for the past three years in the MEF Proof of Concept Showcase – most recently for Multi-Domain Application-Defined Global Interconnection Orchestration. Ciena also recently announced enhancements to its Packet Networking Portfolio further enabling cable MSOs to capitalize on the CE market. It will be interesting to see what develops with cable business services during 2019. Will MSOs be offering new managed services (Wi-Fi, Router, Firewall, etc.)? Will other MSOs join Comcast Business and offer SD-WAN services? Will mobile services be part of SMB service bundles from MSOs? Will it be clear if 5G is a friend or foe to cable MSOs? I am looking forward to the Light Reading / Future of Cable Business Services event in 2019 – hope to see you there.